We use hot water on a daily basis and usually more than once a day. So we need something that is safe, works fast and is energy efficient! 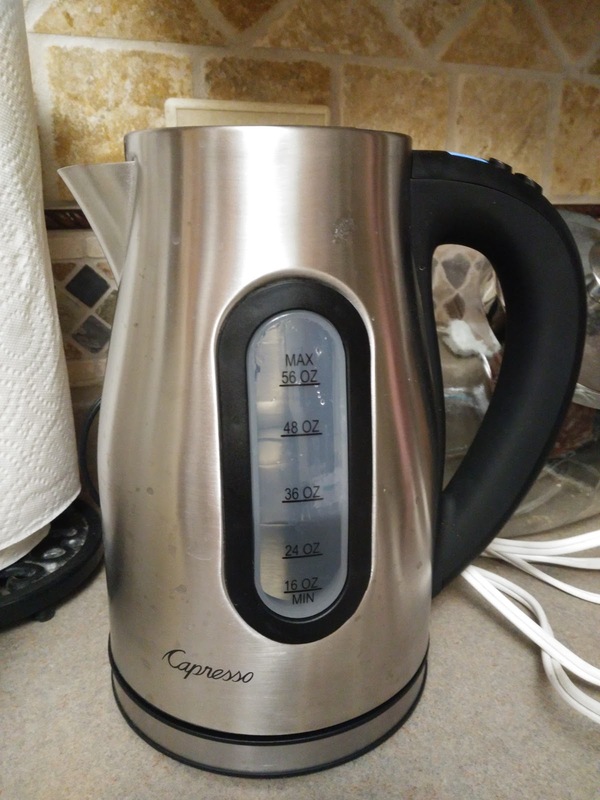 I have found that with the H2O PRO Water Kettle from Capresso! We have tried out several other water kettles in the past but this H2O PRO has always performed the best, works the quietest and boils the quickest! I LOVE the large 56 oz capacity! I don't have to be constantly filling it with this large size! Plus, the temperature control is amazing! It is easy to program and you can choose for 11 settings from 110°F to 212°F! 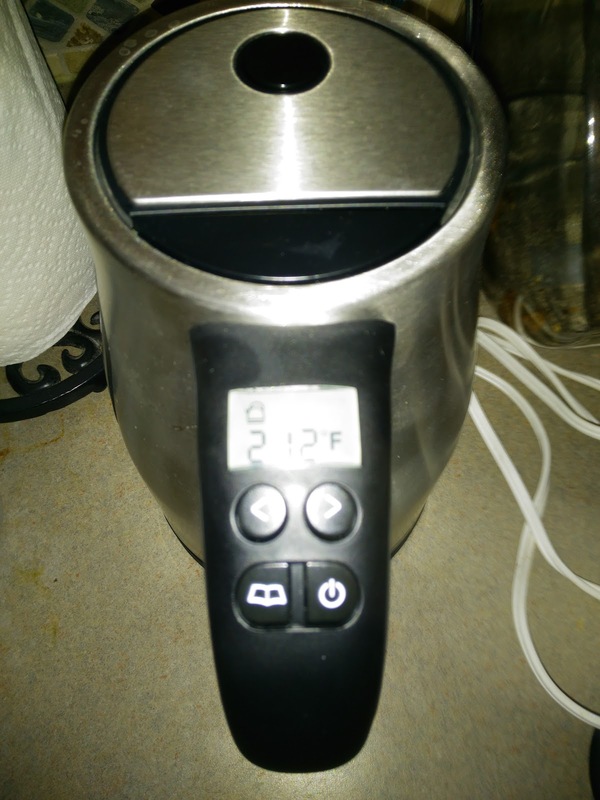 Plus, when I get busy and forget about the water I just boiled - NO FEAR because it will keep my water warm from from 110°F to 190°F and maintain the temperature for up to 40 minutes! I also really like how quiet it is! Compared to other kettles I have used in the past, I barely hear this one working or boiling! My only complaint is that there are a lot of plastic pieces that are exposed to the hot water. I would prefer no plastic being exposed to hot temperatures for the safety of my family. This water kettle is great for heating water for oatmeal, hot chocolate, instant coffee and especially tea! To extract the best flavor it is necessary to steep tea leaves at the correct water temperature and for the right amount of time, the H2O PRO can be programmed for precise water temperature for a variety of teas from white and green to oolong, black, herbal and rooibos. 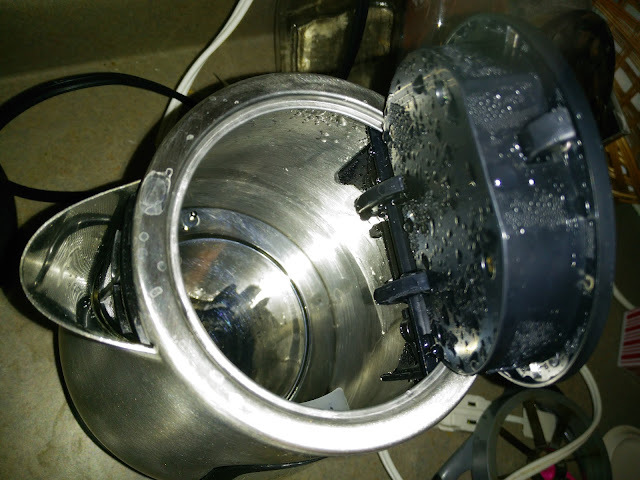 A stovetop kettle cannot be programmed for specific temperatures and is only handy for reaching the boiling point, which is ideal for black teas. 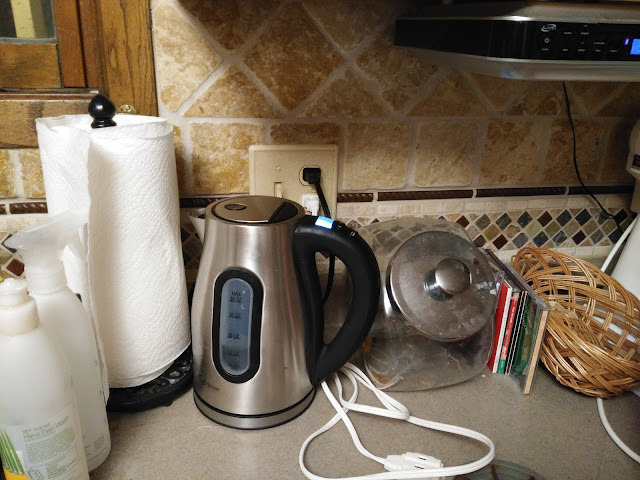 Electric kettles can also heat water twice as fast as stovetop kettles. This versatile electric water kettle is also ideal for preparing water for French press coffee or heating water for cooking such as preparing yeast, or re-hydrating dried mushrooms or tomatoes. I don't know how I lived without a electric water kettle and I love the look, design and efficiency of this H2O PRO water kettle from Capresso! The stainless steel design is sleek and it looks great alongside my stainless steel appliances and on my countertop in my kitchen! And if you are a tea lover, this is definitely the water kettle for you! You can purchase the H2O PRO for $79.99 from the Capresso website. 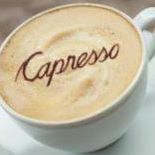 Capresso is generously offering (1) Capresso H2O PRO Water Kettle to a lucky winner!